Um, are you sure you’ve got the right town…? A motley collection of geriatrics kicking up a fuss in front of the cathedral this morning and demanding an uninterrupted view of cathedral in Worms. Worms is 48km from Mainz and even if the earth’s curvature didn’t get in the way, I’m not sure that the major earthworks would be affordable nor can I imagine that the property owners would be too chuffed at having their buildings bowled. But geriatrics are frequently geographically disoriented, so I’m ventured to a bystander that they might be TOTALLY UNAWARE that they’re in Mainz and not Worms. 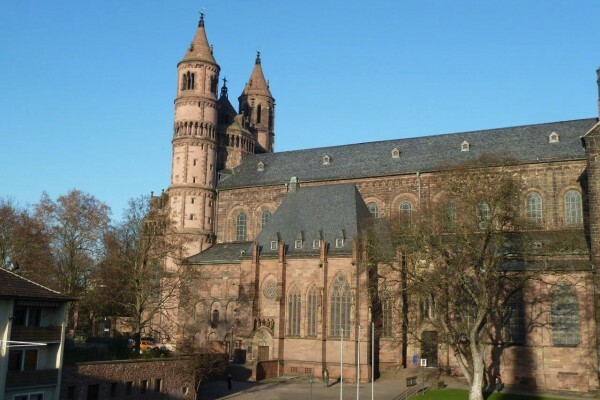 Turns out that he was one of them and the reason that they’re here is to bend the Bishop of Mainz’s ear about a controversial planned construction, given that Worms belongs to his diocese. Researching the issue, I can’t say that I blame them. And this is what some IDIOTS want to build in front of it. If they don’t get anywhere with Cardinal Karl (Lehmann), they’d be well advised to head off to Rome and escalate it to the Pope. The country we beat at football in the World Cup finals? 15 Jul	This entry was published on 15 July, 2014 at 13:56. 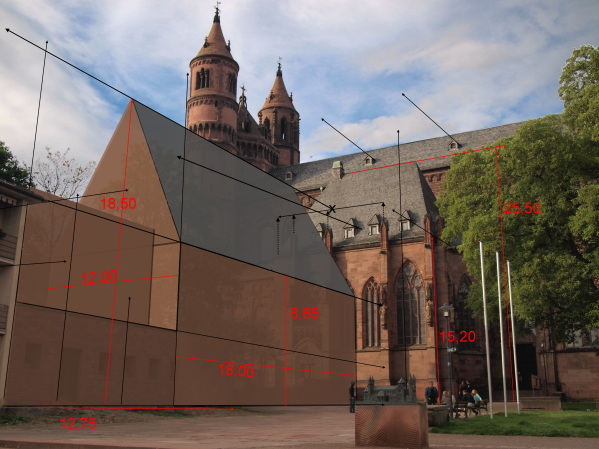 It’s filed under Altstadt, Architecture, Geriatric rant, Mainz, NQM (Not quite Mainz) and tagged Dom, Worms. Bookmark the permalink. Follow any comments here with the RSS feed for this post. Newer: Shock! Horror! The Rhine isn’t barrier-free…. “A motley collection of geriatrics”… a little more respect please, young man! !